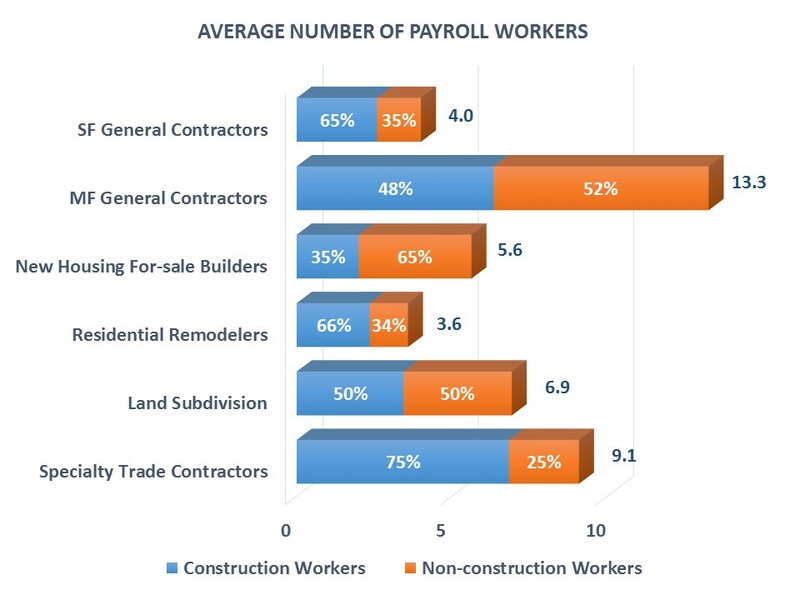 Based on the recently released 2012 Economic Census data, new NAHB research shows that residential construction remains the industry of independent entrepreneurs with 81 percent of homebuilders and specialty trade contractors being self-employed independent contractors. 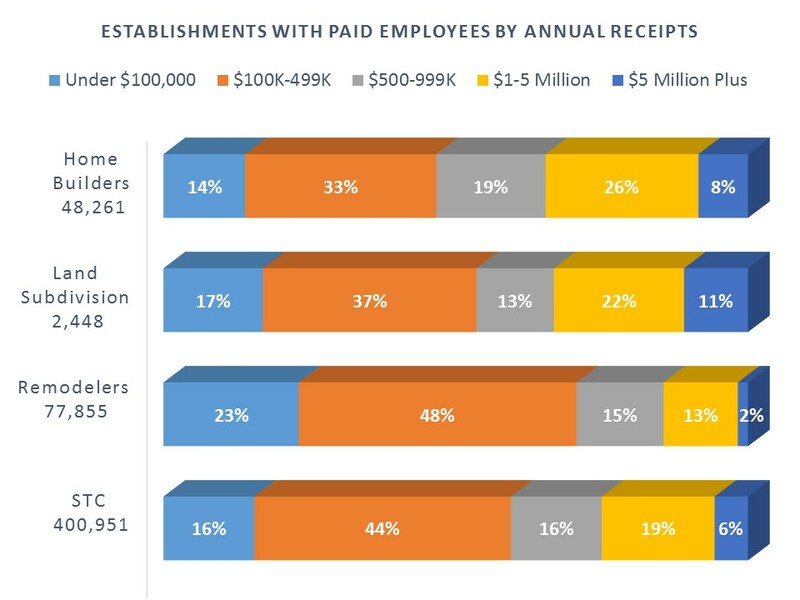 Even among establishments with paid employees, the industry is dominated by small businesses, with two-thirds of homebuilders and three out of four specialty trade contractors generating less than 1 million dollars in total business receipts. 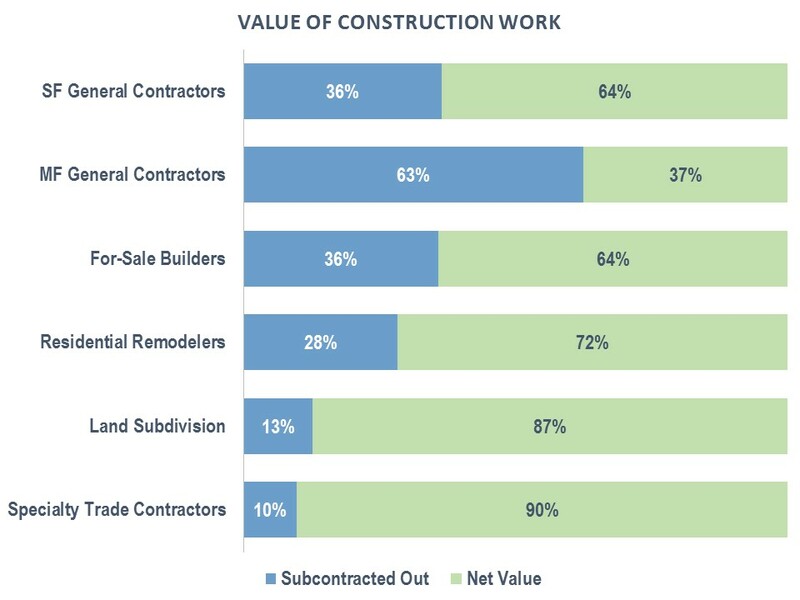 Among homebuilders, multifamily general contractors tend to be largest, with more than 55 percent of companies generating over $1 million and close to 23 percent generating more than $10 million in 2012. Less than 8 percent of for-sale builders (who build on land they own and control) and under 2 percent of single-family contractors (who build on land customers own) crossed the $10 million mark in 2012. Under the most recent US Small Business Administration (SBA) size standards, the vast majority of residential construction companies qualify as a small business. The most recent small business size limits for all types of builders is $36.5 million, for land subdivision $27.5 million, and $15 million for specialty trade contractors. By these standards, almost all remodelers and at least 96 percent of homebuilders, 94 percent of land developers, and 97 percent of specialty trade contractors easily qualify as a small business.